This silky lotion uses a new generation of patented technology plant Allo-Melanin that mimics the colour of your own melanin to create the most gorgeous natural tan that's clinically proven to outperform traditional tanning agents. Infused with creamy organic coconut oil and a hint of zesty lime, these delicious aromas with uplift your senses and enhance your sun-kissed skin to maximise the golden glow and keep your tan fresh long after you've left the beach. To order this item, please click here. 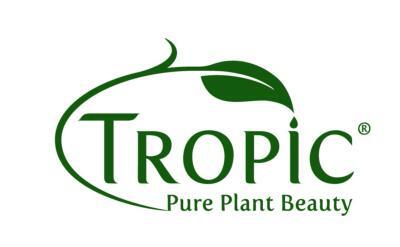 You will be re-directed to our Tropic Ambassador website to place your order, which will be fulfilled and shipped direct from Tropic. You will need to create an account. Apply onto clean, unmoisturised skin in long, even strokes to ensure maximum, streak-free coverage. Apply Summer Skin every day to achieve a natural tan or every 2-3 days to maintain your post-holiday colour. Derived from patented technology plant Allo-Melanin, this powerful antioxidant is rare in skincare and helps protect as well as providing a natural, streak-free tan. Coconut is anti-bacterial, anti-microbial and rich in moisturising fatty acids to thoroughly replenish skin. A crisp and sharp scent that invigorates the senses. This amazing butter contains antioxidant, anti-inflammatory and anti-ageing properties, while helping to tackle dry skin and reduce the appearance of fine lines and wrinkles.